So after a year of taking a photo every day, everybody’s been asking me “what’s next?” I swore I wouldn’t do it again, but some of my awesome photography friends peer pressured me into joining them in a 52 week project (a photo a week). 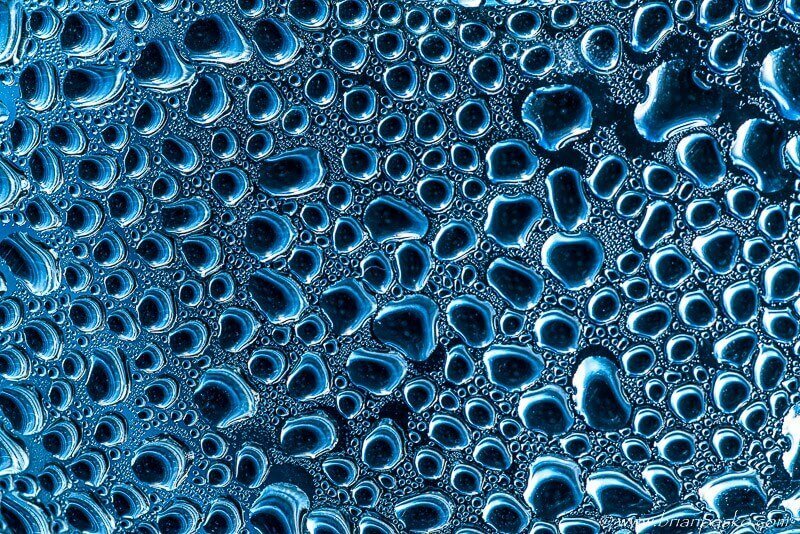 We’re in week 3 and this week’s theme was “water drops.” This is a shot I took this evening of the condensation on the inside of the automatic watering bottle we have for our pets. I back-lit the drops by bouncing my flash into a blue blanket, giving them the blue cast. (Click the image to see a larger version).